The post Cowboys, Cowgirls and a Cure appeared first on Four Bar K | Event Venue Lubbock | Lubbock Texas Wedding Venue & Friday BBQ Buffet. We are so excited about the 7th Annual “Cowboys, Cowgirls and a CURE”! 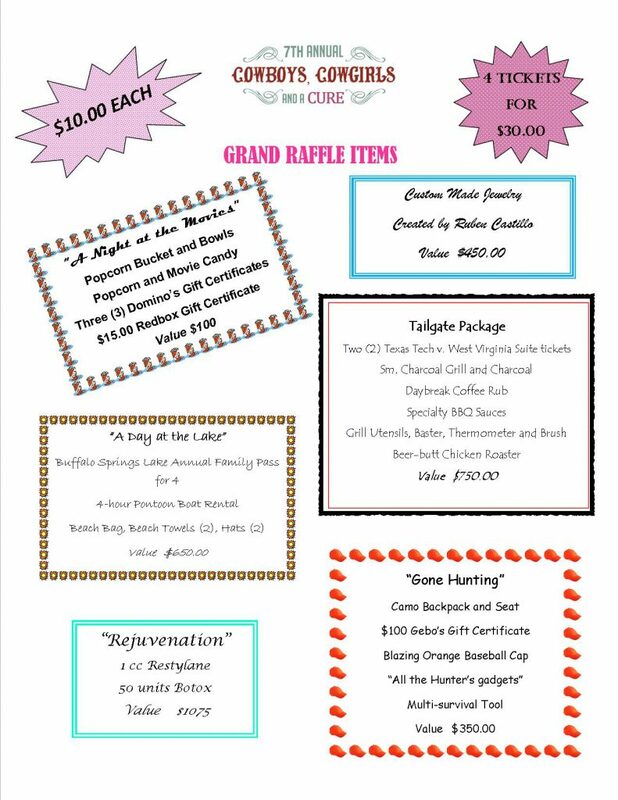 Thank you for your interest in donating a raffle item or becoming a benefit sponsor! Below you will find information on how to fulfill this! Our goal this year is to donate $5,000 to Susan G. Komen Lubbock Area. This money is used here on the South Plains for everything from screening and prevention to assistance after diagnosis to research on a national level. Below you will are the three (3) different sponsorship levels. You may contact me personally via telephone or email OR you can print out the Donation Form and mail it back. Thank you SO much for your support and giving! 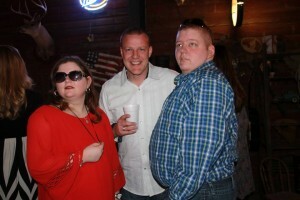 The post 4 Bar K hosts Alstrom Angel’s 4th Annual “Night for Angels” appeared first on Four Bar K | Event Venue Lubbock | Lubbock Texas Wedding Venue & Friday BBQ Buffet. On February 13, 2016, Four Bar K Inside had the privilege to host the 4th Annual Night for Angels put on by Alström Angels. The night was AMAZING! We spent the night with friends and family eating and drinking, bidding on a HUGE silent auction and then raising bid paddles high for some spectacular live auction items. (Like an autographed guitar by ALL of the Eagles! Wow!) To top the evening off we danced to the fantastic music by the Rankin Twins! All of the money that was raised went to help fund research for Alström Syndrome. For those not familiar with Alström Syndrome it is a rare genetic condition that affects children in a multitude of ways throughout their precious bodies. Most children are lost in their early twenties or late teens because of these medical complications. Though raising the money was incredible, spending the evening with three of our very own Texas angels, Bryce, Callie and Dillon, was by far the best part of the evening. A very special thank you to Lynn and Cassie Johnston for their dedication to the cause and for including Four Bar K in this extraordinary event for the last four years. We look forward to many more years with this cause and this family! 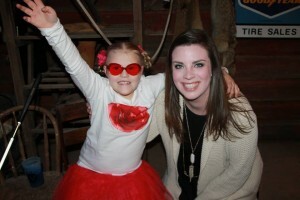 If you would like additional information on Alström Syndrome or how you can help support the cause please visit http://www.alstromangels.com/ or call 806-786-4903 for more information. You may also visit their Facebook page at https://www.facebook.com/AlstromAngels/?ref=br_rs. Be sure to keep your eyes open for the 5th Annual Night for Angels! The post Event Booking! appeared first on Four Bar K | Event Venue Lubbock | Lubbock Texas Wedding Venue & Friday BBQ Buffet. Book your next Event at Four Bar K! We are now accepting bookings for the Holiday Season! A place where you can escape your busy lifestyle for an evening of relaxation and culture. We make sure that each and every detail is addressed for your function. You are able to choose between different menus, BBQ buffet or Ribeye buffet (prices vary) are our specialty, Mexican buffet or fajitas are excellent, BYOB policy or third party vendors are acceptable, rustic atmosphere means very little decorating and clean up is provided. In the end, it allows the bride, groom, birthday guy/gal and attendees more time to relax and less time worrying about details! !